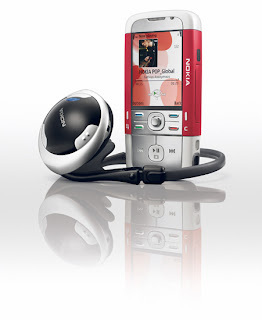 Nokia launched the new Nokia 5700 XpressMusic, a 3G smartphone featuring an audio chip devoted for enhanced music performance. The handset has a special rotating design which easily switches between four modes with just a simple twist - music player, 2MP camera, video calls and smartphone. The Nokia 5700 XpressMusic running off of S60 Symbian OS software is expected to available during the second quarter of 2007 at an estimated retail price of 350 EUR.